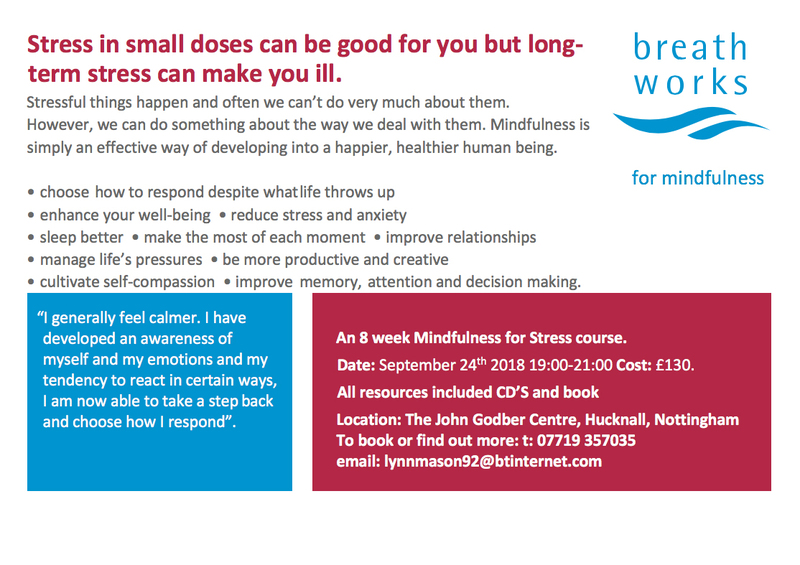 An 8 week Mindfulness for Stress course, starting September 24th 2018 19:00-21:00 Cost: £130 (includes all resources: CD’S and book). Check out the leaflet below for more details. Stress in small doses can be good for you but long-term stress can make you ill. Stressful things happen and often we can’t do very much about them. However, we can do something about the way we deal with them. 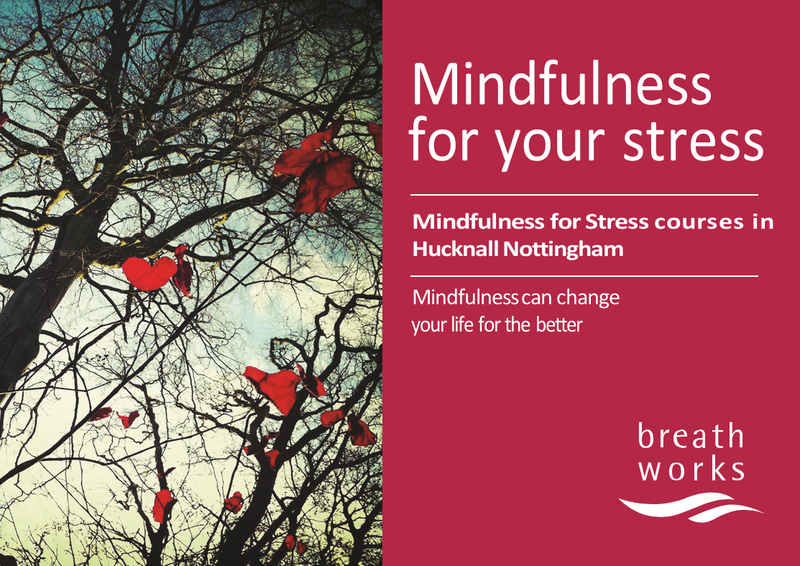 Mindfulness is simply an effective way of developing into a happier, healthier human being.